An innovative outreach program has earned regional recognition for the Harriet F. Ginsburg Health Sciences Library at the UCF College of Medicine. 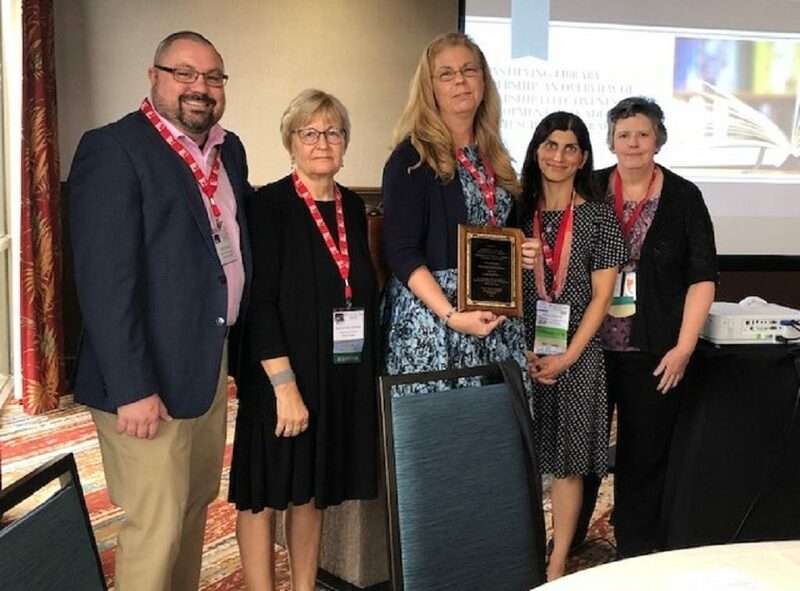 The library received the Consortium of Southern Biomedical Libraries’2018 Distinguished Library Award, which recognizes innovative programming for the library’s users. The award honored the College of Medicine library for its Info Expo series, the library’s longest-running and most well-attended event. Held twice a year, the HSL Info Expo began eight years ago as a way to share information on the library’s programs, technology and expertise with the medical school’s faculty and staff. The Info Expo is formatted as a themed lunch-and-learn with an emphasis on fun, interactivity and learning. Martin Wood, chair of the consortium’s award committee commended the library’s initiative, saying it could serve as a model for other biomedical libraries. “The HSL Info Expo is a great example of what we look for in our Most Distinguished Library each year, and the team at UCF should be as proud of this accomplishment as we were in selecting them for this award,” he said. This is the second CONBLS award for the library. In 2013, they were awarded for their “Library-Centered Tablet Technology Deployment”, a program in which iPads are distributed to all medical students to allow them 24-7 access to library’s resources that are 98 percent digital.